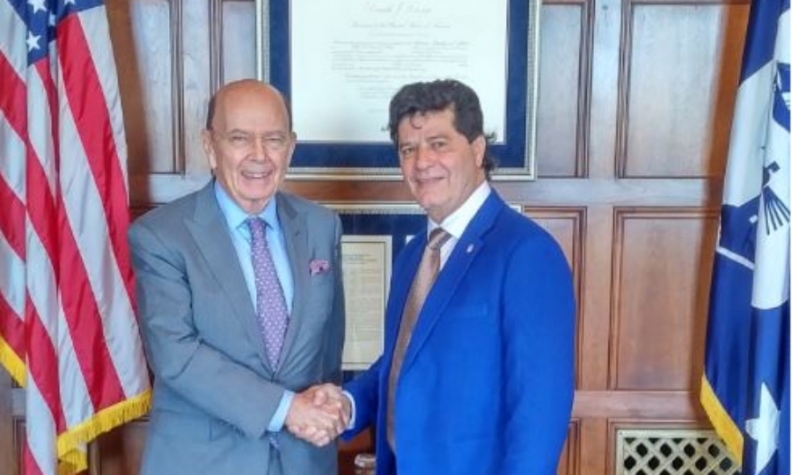 WASHINGTON - Unifor president Jerry Dias says he and U.S. Secretary of Commerce Wilbur Ross have agreed that combating low Mexican wages is the key to breaking the impasse at NAFTA renegotiations. Both agreed that Canada and the United States have been hurt by the siphoning off of manufacturing jobs to Mexico and must work together to pressure the country to drive up wages, Dias said Tuesday in Washington, D.C.
"He agreed — and we both agreed — the issue is Mexican labour standards," Dias said. Dias said he and Ross believe that a united front is needed to raise Mexican living standards and create a level playing field for workers in all three countries in order forge a path to a new NAFTA agreement. Dias called the meeting, the third between the two, "a frank discussion." Dias said they discussed the idea of doing some kind of Canada-U.S. arrangement on autos and presenting that to the Mexicans to pressure them. "We talked about an arrangement on autos between Canada and the U.S. to deal with the 800-pound elephant in the room: which is Mexican labour standards," Dias said. "We didn't talk about a straight bilateral deal," as U.S. President Donald Trump has publicly floated, he said. Ross is influential within the Trump administration but is not technically the lead member on NAFTA. That file belongs to trade czar Robert Lighthizer.